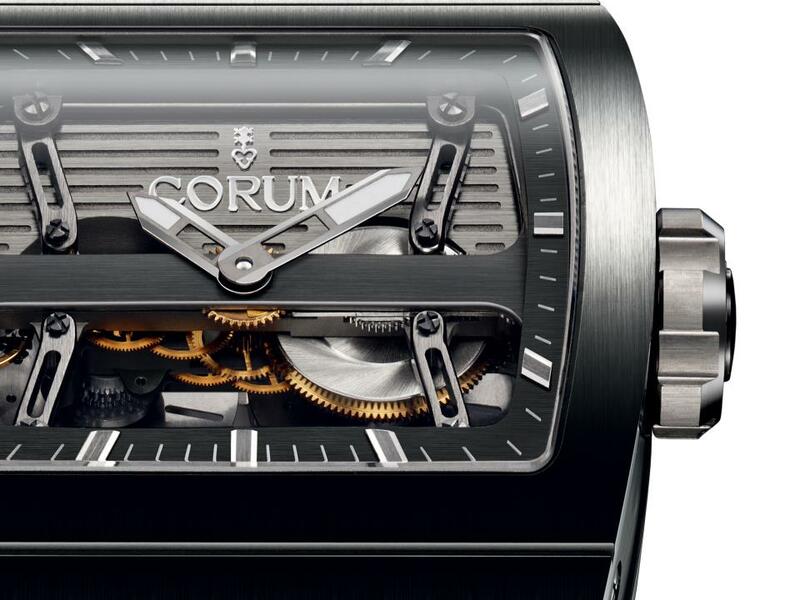 In 2011, Corum debuted a stunning world-first with the Golden Bridge Automatic movement, the self-winding cal. C0 313. For the first time in the history of wristwatches, a movement incorporated a linear oscillating weight, shuttling parallel to the baguette movement on guide rails to wind the mainspring. Although the La Chaux-de-Fonds watch company has kept its communications relatively low-key in terms of broadcasting milestone achievements, the true connoisseur will certainly be well acquainted with the history of world premieres within their select collection of baguette-movement timepieces. 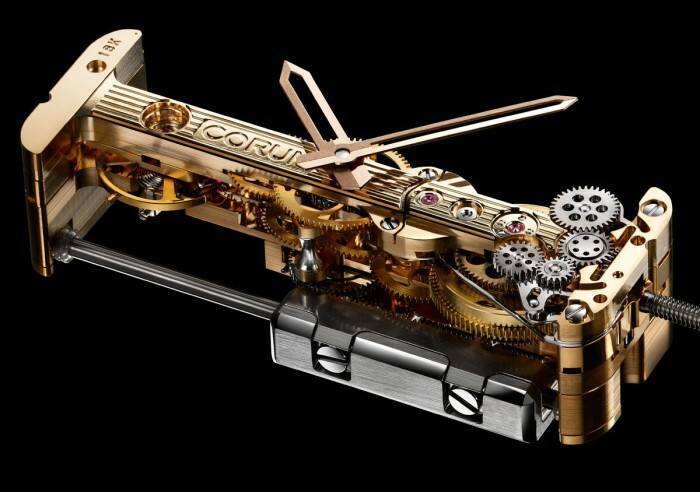 The Corum Golden Bridge — designed by master watchmaker Vincent Calabrese, who recently rejoined the company in a collaborative, consultative and ambassadorial capacity — was the first movement with a linear baguette construction to be wound and set through the same crown. The 2011 Ti-Bridge Power Reserve, as its name implies, debuted a linear power-reserve display placed perpendicular to the rest of the baguette movement. 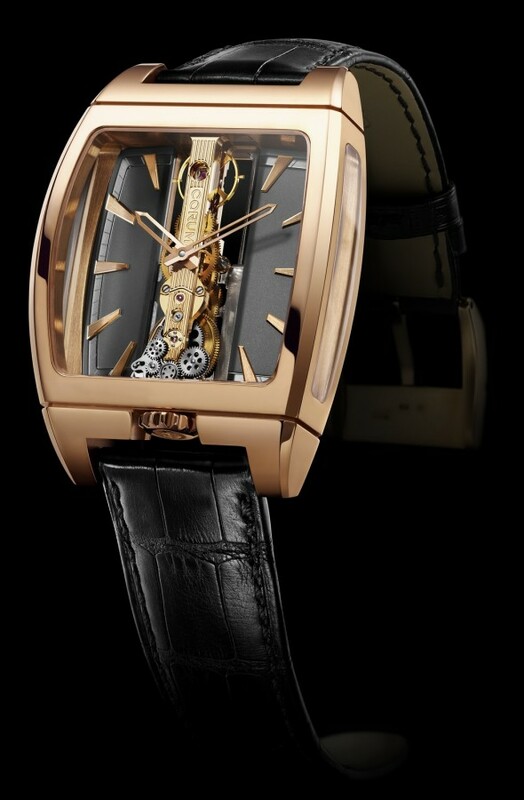 In the same year, the Golden Bridge Tourbillon with sapphire bridge managed the difficult integration of the famed movement’s gold bridges with a sapphire-crystal tourbillon bridge, highlighting the light ethereality of the rotating escapement. 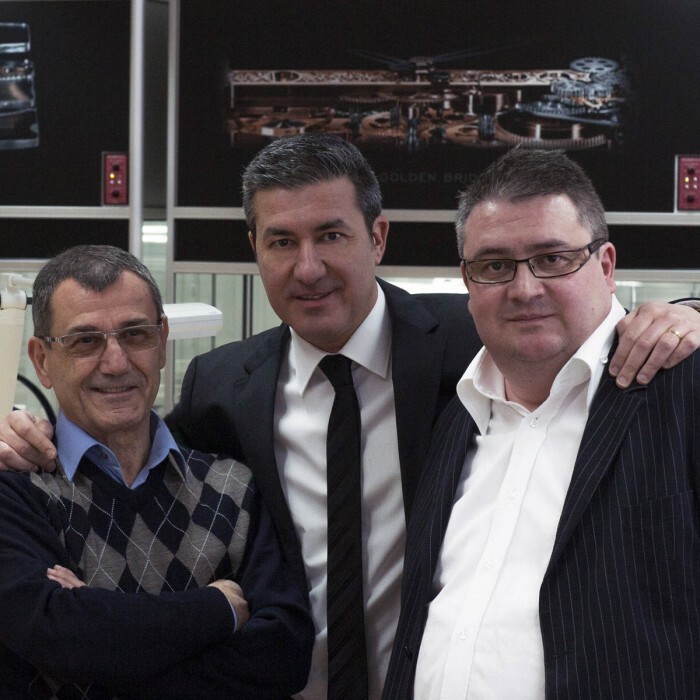 This year proves to be no exception to Corum’s well-established track record of introducing innovative features in its so-called “Bridge watches”. The Ti-Bridge Automatic Dual Winder brings the high utility of a self-winding timepiece into the architecturally stunning construction of the cross-barred linear movement. Before you imagine that it was simply a matter of translating the cal. C0 313 into the more robust design codes of the Ti-Bridge, it must be noted that the self-winding mechanisms in these watches are entirely different. 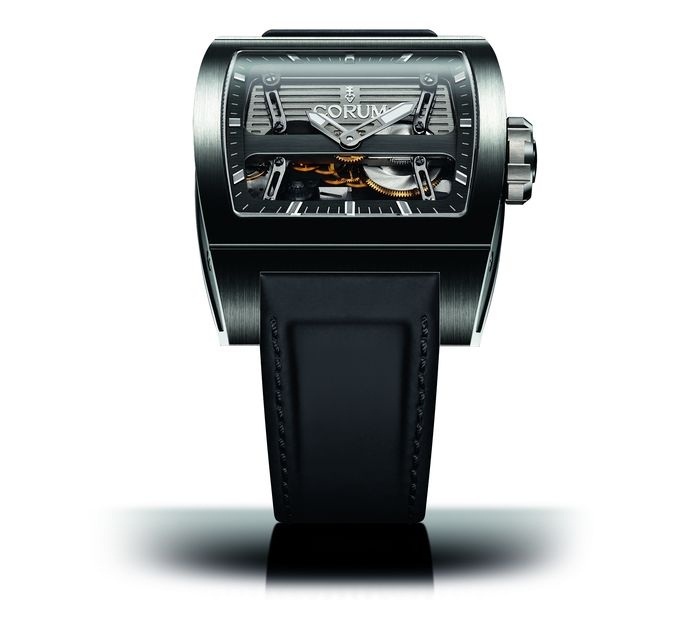 The Golden Bridge, because of the orientation of its movement on the wrist, can incorporate an oscillating weight that traverses the length of the movement — the natural twisting action of the wrist would suffice to wind the watch. With the Ti-Bridge, however, the baguette movement lies parallel to the wrist, and the sort of activity that would activate an oscillating weight arranged similarly to that of the Golden Bridge Automatic is incongruent with the usual motions that the average wrist goes through on a daily basis. 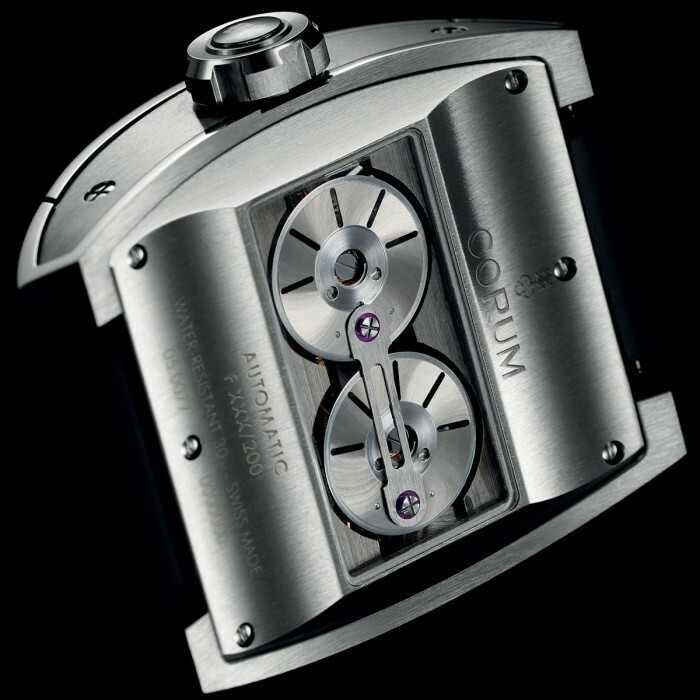 The answer to this winding conundrum is revealed through a view of the Ti-Bridge Automatic Dual Winder’s caseback. Two circular oscillating weights are mounted on the rear of the movement, coupled by a transmission arbor to maximize overall inertia (when one weight moves, the other is compelled to move in concert). The mass on each weight has axial eccentricity — there is a semicircle of tungsten mounted on each circle — which increases winding efficiency. Tungsten is a high-density metal, with a mass comparable to that of gold, and is ideal for use in the winding mechanism of the Ti-Bridge Automatic Dual Winder’s cal. C0 207. This innovative new system comes sheathed in the well-established design codes of the Ti-Bridge and is practically invisible from the dial-side of the watch — perfect for those who appreciate creative horology without having to shout about it.